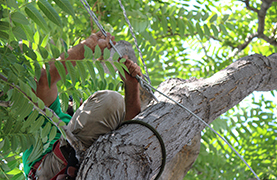 Donovan Arborists hires International Society of Arboriculture (ISA) Certified Arborists to ensure that you get the highest quality tree care. 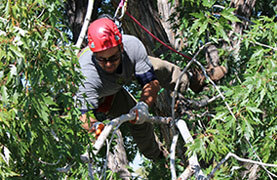 We offer on-going training to ensure our arborists are knowledgeable, safe and friendly. Properly cared for trees can add as much as 20% to the value of property. We are passionate about offering pro-active tree care in an environmentally friendly manor. 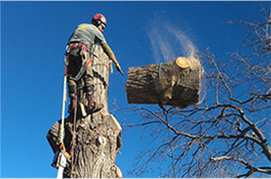 Trimming is one of the most important tree care practices in Colorado. 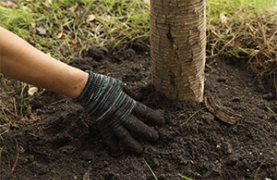 We properly prune to improve the health, appearance and safety of your trees. We’ve been removing trees in Colorado for the past twenty years. You can rest assured knowing that we will remove your tree safely and efficiently. “The right tree in the right place.” This practice is the basis to producing a landscape that flourishes while requiring less maintenance over time. We help you select the most appropriate and highest-quality shrub for your landscape, and plant it for you. Professional transplanting services also offered! Pruning shrubs periodically keeps them full of foliage and flowers. 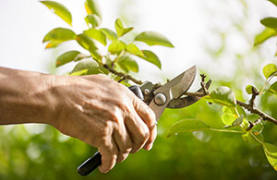 We prefer to prune most shrubs by hand, which maintains the shrubs natural form. Cabling and bracing trees involves adding hardware to the tree to reduce the risk of failure and prolong the life of the tree. We have been installing support systems for twenty years. 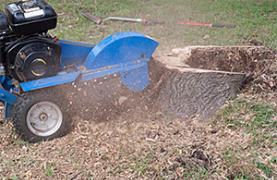 We also offer stump grinding services. Stumps can be ground to various depths to meet your needs. We have the ability to grind stumps deeply for replanting with a tree, shrub or turf.